Waterfalls and high mountain cruises in a veiled village. Easy trip for the whole family – a favorite with grandparents! 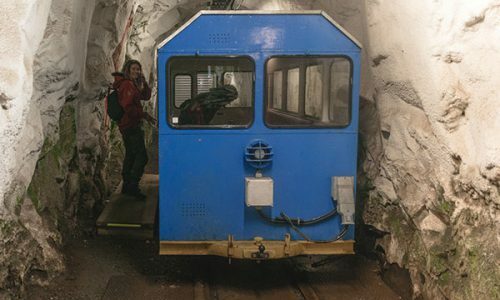 Well organized trip that is nice to combine with a day trip with Fjellvåken and lunch or accommodation at Mogen turisthytte. 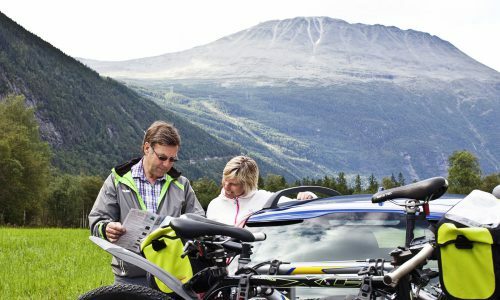 Enjoy the waterfall from Kvenna, and listen to the talk post that tells you about life “no one would think that anyone could go” in the veiled mountain village of Møsstrond. You start your trip at Mogen Turisthytte. From there follow the village road towards Argehovd, where the gravel and plank road turn left to the river Kvenna. Plankeveien takes you dry frowns over the marshes and out to the beautiful swamps of Kvenna. In a bay you will find a swimming spot – perfect for a fresh dip on a sunny day. Along the way, you can learn about life at Møsstrond through the times of information boards and the talk post. 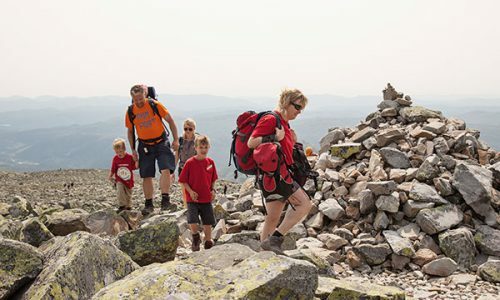 On this trip you will experience one of the highest mountain ranges in the country: Møsstrond. There are around 150 residents living here. About 40 of them live veilily, and several farms with farm animals. 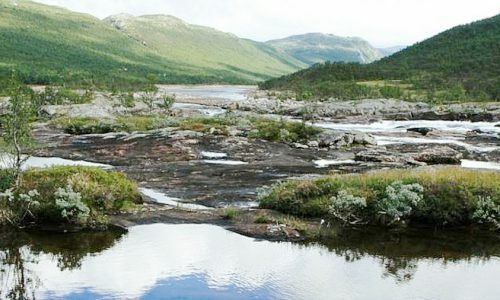 The road ends at Varland, where the “waterway” above Møsvatn starts. From here it is 3 miles to the innermost farm. The shortage of roads means that many messengers live to transport people and goods by boat and snowmen, as well as tourism, hunting, fishing and farm. For those who live safely, the water is the road all year long, regardless of whether it is open or sheltered. During ice-floating and ice-making spring and autumn, it may take several weeks between each time they get mail or are at the store. 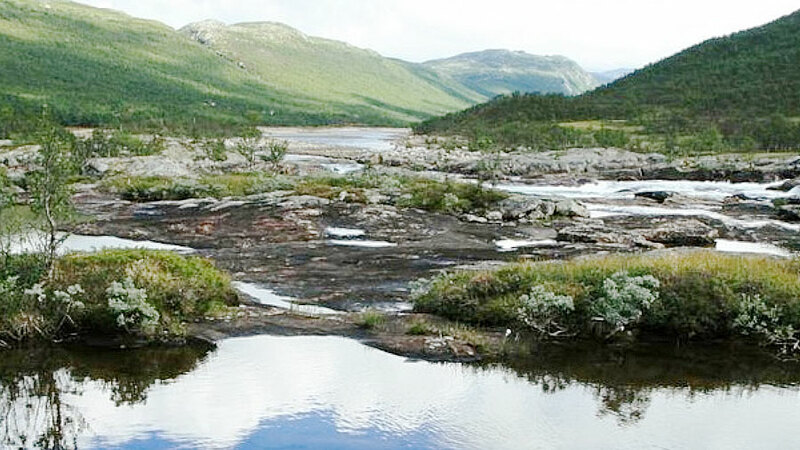 The starting point for the trip is at Mogen Tourist Lodge, in the middle of the veiled mountain village Møsstrond. Here you will arrive by boat Fjellvåken, which runs from Skinnarbu (at rv 37, between Rjukan and Rauland) during the summer season. 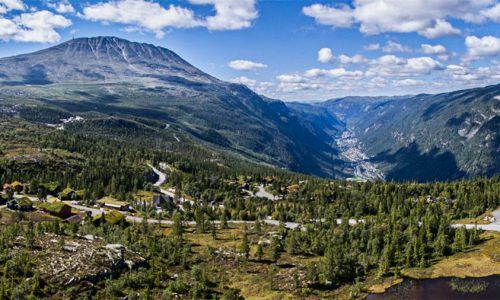 From Rauland Center: Follow Route 37 towards Rjukan. After 26.5 km turn left onto the bridge on Skinnarbu. Park on the dock. Pay p-fee (cash) in cash box and make receipt visible in the car.